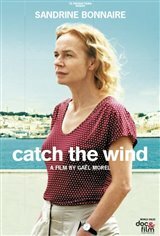 A textile factory worker in the Lyon region, Édith Clerval (Sandrine Bonnaire) learns she’s going to be laid off due to relocation. Renouncing her severance pay, the woman in her late fifties agrees to be assigned to a factory in Tangier, Morocco, because there’s nothing to keep her in France. She lives alone since the death of her husband and her only son’s departure for Paris. In Tangier, however, Edith discovers another way of life, with working conditions much worse than in France. In addition, people's misunderstanding of her choice weighs heavily on her. Fortunately, she can count on the support and friendship of her landlady, a divorced and independent Moroccan, who is raising her son alone.